I love to roast. No, I’m not talking about the current temperature in California. I’m talking about vegetables. And yes, I turned on the oven yesterday when it was 100 degrees outside. But when I want to roast, you just can’t stop me. It is really a simple technique that yields such flavorful, satisfying results. The basic concept: pick your favorite veggies, keeping in mind that root veggies will need to cook longer than others such as zucchini or mushrooms. 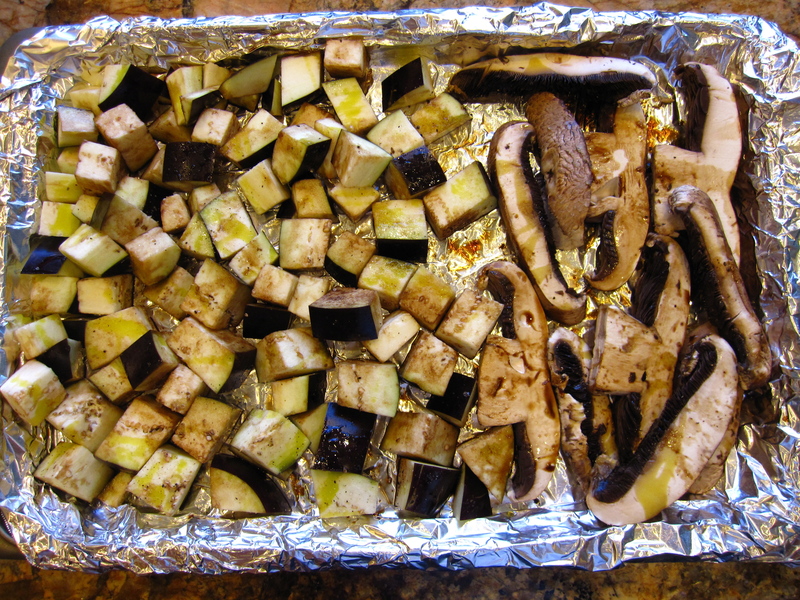 Cut them up into similar size pieces, grouping similar cooking vegetables together in one pan. Then slather them with a fantastic or even mediocre olive oil (I, of course, used my Italian olive oil that I wrote about last February, salt, pepper, and then you decide what sounds good. Yesterday I used balsamic vinegar, dried Italian herbs, and garlic powder (sometimes I don’t use fresh – yes I am admitting it here in a public forum). But garlic powder easily gets the garlic flavor all over the veggies in a very quick fashion and I am usually rushing when I cook. I tossed all the veggies with my hands to be sure they were coated and threw them in a 375 degree convection oven (400 regular) for about twenty minutes, shaking the pan about halfway through. The aroma about 10 minutes in permeating my kitchen was so yummy. So what to do with this fabulous plate of veggies when you’re done? Here’s just a few ideas. 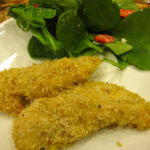 Serve them hot or cold as a side dish with almost anything you are eating for dinner. I whipped up some roasted tomatoes yesterday for a quick roasted tomato sauce and served the sauce on some tortellini with the roasted veggies on the side. Today I made both of my kids sandwiches with the veggies – one with leftover flank steak, one with cheese. They would be wonderful in an omelette. Or just to snack on when you crave good flavor but want to keep it healthy. They make a great buffet platter as they are wonderful at room temperature and can be made ahead of time. You can also grill them, but in my house, the grill and remote control are permanently attached to the male inhabitants so I’m only writing about roasting in an oven. My husband will have to guest post to talk about grilling veggies. 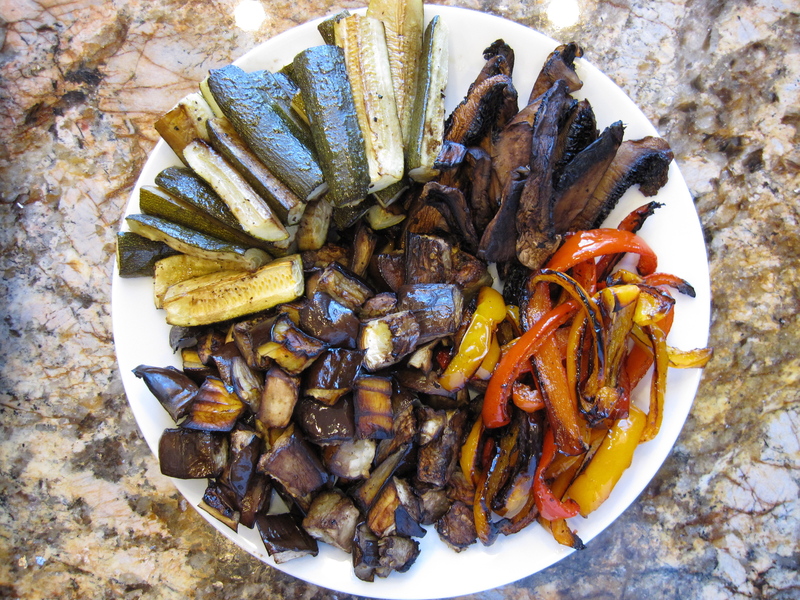 Roasted veggies on a platter – don’t they look yummy? Hope you will be roasting today too. This is more of a method than a detailed recipe. Use whatever you have in the vegetable drawer or whatever looks good at the store or market. 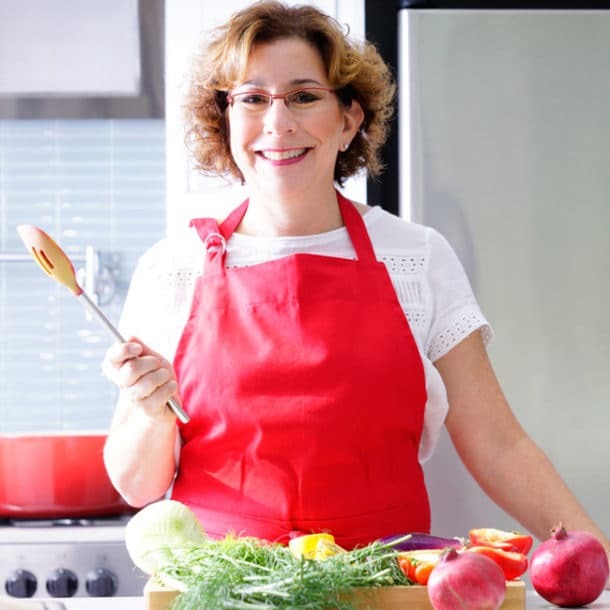 Try to cook veggies of similar hardness together (like carrots and potatoes OR zucchini and tomatoes) or you can adjust size of pieces or just take some of the vegetables out of the oven sooner than the others. Once you start roasting, you’ll get a feel for how long different veggies take and what size you prefer them. For example – do you want them bite size or larger pieces that require cutting? Line roasting sheet/cookie sheet with parchment if you like. Makes for easy clean up. 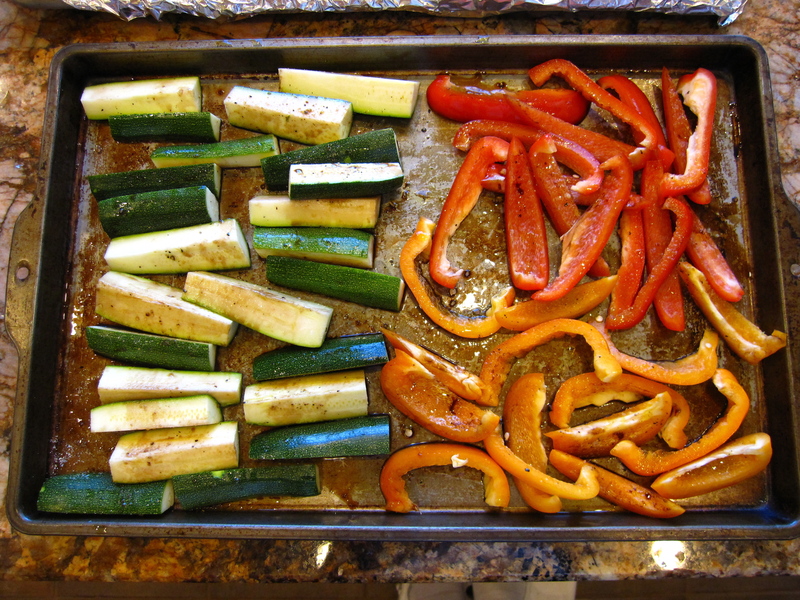 I use 12 X 17 sheets pans – often filling up two of these with vegetables so I have leftovers or can feed a crowd. 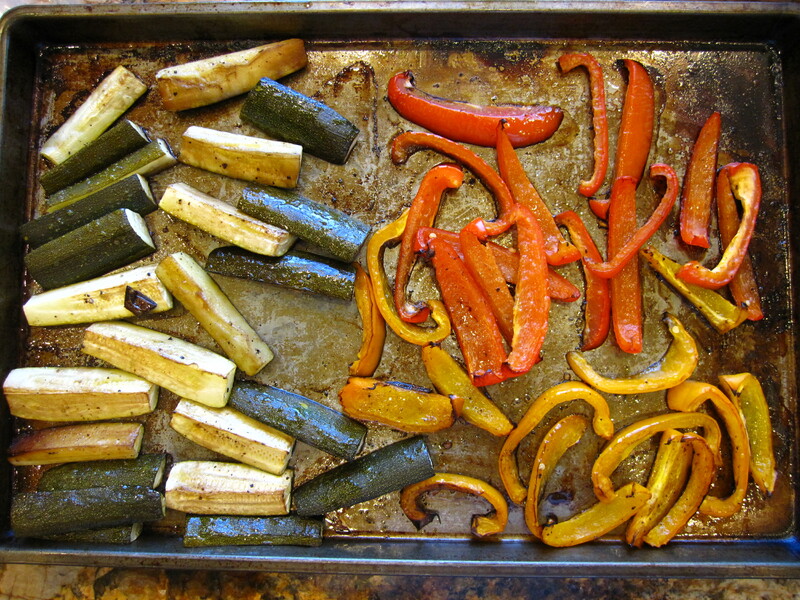 Cut vegetable (s) of choice into pieces and spread on your cookie/roasting sheet. I usually put each vegetable into their own sections so if they cook faster, it is easier to remove them and let the others finish cooking. Now add some olive oil – about 2 tablespoons per sheet pan. I just pour but measuring is a good method so you can get an idea of how much you prefer to use when you roast. Then I add salt and pepper – probably about a ½ to 1 teaspoon of each per sheet of vegetables. Then mix it all around right on the parchment. Also add other spices if you like – think about what else you are serving and choose spices to complement your protein and the vegetable. But just olive oil and salt and pepper is magical. 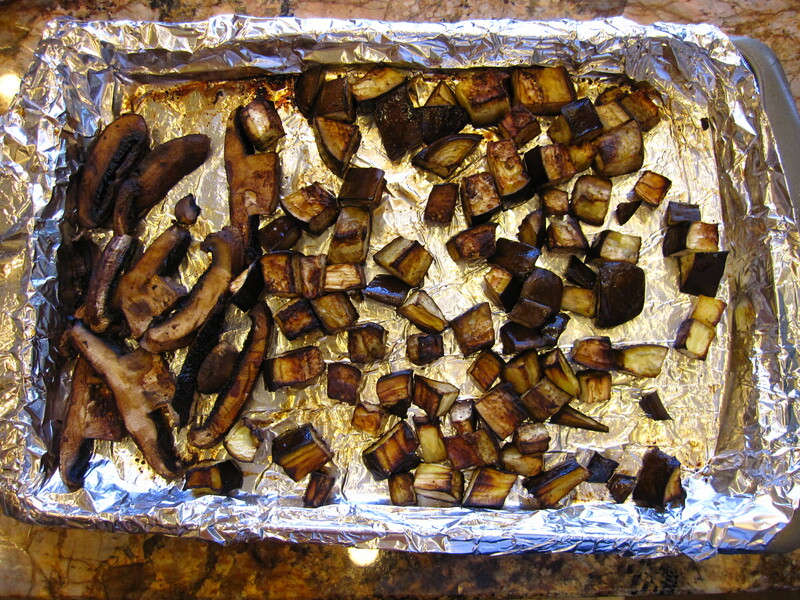 When the vegetables are done, they will be caramelized – even almost burnt. When I take them out, I like to squeeze fresh lemon juice on them – it is an excellent finishing touch. I roast my vegetables at 375 degrees convect or 400 degrees conventional. I usually check them and toss them about at about 10 minutes, then cook additionally at 5 minute intervals. If you roast asparagus – (see this recipe), it cooks very quickly if the spears are thin – more like 7 minutes total. I’m wanting to serve roasted green beans at grad party. they are so good right out of the oven but that could be difficult to maintain over the course of the event. Am I really sacrificing the end produce to make the day before and if I did that would you reheat before serving or just bring to room temp? I have never roasted green beans (think it sounds like a neat idea though!). But all the other vegetables I roast taste outstanding the next day as well as at room temperature. So I think you’ll be fine. Try a small batch and see how they taste the next day – that will give you piece of mind. Also, roasted red peppers would look lovely on a plate with the green beans, don’t you think? Roasting is my very favorite way to make veggies. Roasted cauliflower is like crack to me. Nom nom nom! Not much better on this earth than a well roasted veggie. Not to mention the fact it’s so easy even my husband could do it. Great ideas. Thanks darlin. So glad we’re in the same tribe. Can’t wait to get all comfy cozy together. Thanks for coming by Alex. Can’t wait to look around your blog some more for dinner ideas and to get to know you in our new tribe of fabulous food bloggers! 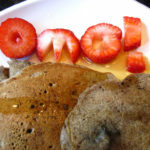 That does look yummy! I may have to try that with some of my veggies from my garden! Lucky you – to have the garden. My herbs always grow well and I lamely tried growing two tomato plants this year, but only yielded about 10 tomatoes. Thanks for stopping by! Roasted carrots are yummy and make a fabulous base for a soup as well. Your tomato article is great. 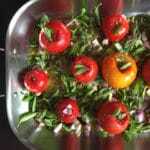 I will be writing about one more roasted tomato recipe next and it won’t overlap any of the awesome recipes in your article. Such a wonderful food! I TOTALLY agree with you, roasted vegetables are fantastic! 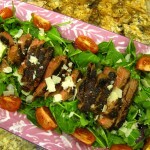 I love them with a little olive oil and balsamic. I love roasting veggies, too. So much better than steaming, I hardly ever steam them. Steaming is just so 1990s…. thanks for stopping by Christina! Love the recipe. 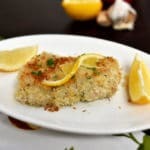 A great topping on the veggies before you pop them in the oven is freshly grated Parmesan cheese. Yummy! Wouldn’t that be delicious along side “Brenda’s chicken” – still plan on writing about that — with our permission of course! Oooh – I’ve never tried okra – will have to expand my horizons. And I have roasted cauliflower, but not with smoked paprika. Great and interesting suggestions Irene – thanks! Hello Sitsta! You know, I made beef stew on Sunday, and I was really wanting to roast some carrots and potatos, but wasn’t sure how to. So now I know! So easy! And they look delicious. Forget the meet. I’ll have roasted veggies all by themselves! Thanks for the great info. And the pictures are beautiful! I took the pictures without the hubby this time – thanks for the compliment! Hope you try roasting the veggies next time – it really is easy and makes them so delicious. So great as leftovers too. looks delicious. Must make the roasted veggies next time we are over. I should follow your lead and cook but laziness takes over. Besides too, too hot right now. Will try when ambition takes over for laziness.